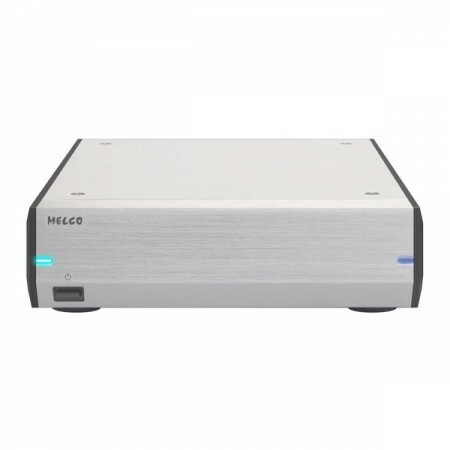 The Melco E100 is a half sized external expansion drive for Melco Music Servers. Adding a further 3Tb of highly stable storage optimised for audiophile playback of Music files. The Melco E100 embeds carefully selected 3TB HDD. TO HOST USB type B port is for N1 or PC to read the disk data. TO DEVICE USB type A port is for USB-DAC playback with N1 USB Local playback function. ※1 Compatible audio components are not supported because the requirement spec is different according to the models. But tested and compatible machine will be listed as below. SONY HAP-Z1ES　*Tested after reformat with SONY HAP-Z1ES`s [Format External HDD] function. MERGING NADAC PLAYER　*Tested with exFAT and NTFS format.